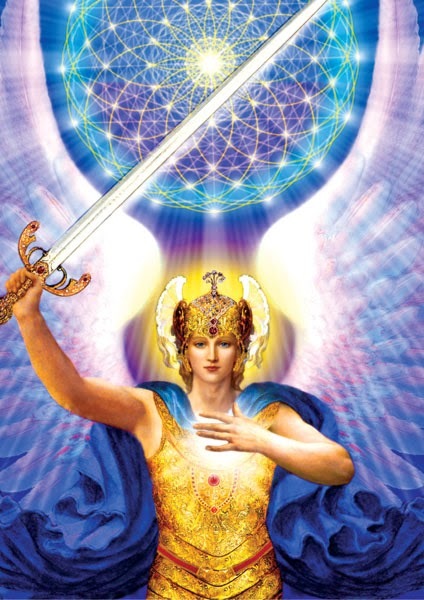 Arcturian Ascension Tools: Michael's Message April 2018: Are You Ready? Beloved masters, it has been some time since we discussed the Cities of Light in the higher realms and the wondrous gift that has been made available to humanity. We have observed that many of you, as part of your earthly mission, are actively involved in anchoring the Creator Light (Adamantine Particles) within yourselves, into the crystalline grid of the Earth, and then radiating the remainder out into the world at large. However, even though discontent, fear and anger abound, the human majority is still not ready to accept the fact that great changes in every area of life on Earth are in the making and that time is of the essence. The masses are still in denial and resistant to change, and most are incapable of absorbing what they feel are far-fetched, radical teachings of the coming age of en-Lighten-ment. We have told you over and over again that you are the transducers, the receptacles, the human vessels into and through which the rarified frequencies of the future must flow in order to be anchored on Earth and made available to all earthly creations. That is why it is so important for you to balance and harmonize your personal frequency patterns and to “return to center,” in order to accommodate the greatest amount of the crystalline Creator Fire of Life/Love. If you will remember, some time ago, we explained how, as the Earth was formed and made ready for human inhabitation; there were gigantic crystalline spires of Living Light implanted deep within the Earth that also extended high into the skies above ground. These sentient spires, which surrounded the world, were the receivers and senders of the sacred geometric codes of Light from the Great Central Sun, and the energetic codes/frequencies of the Earth were then radiated back into the higher realms so that the great Beings of Light could monitor the progress of Earth and humanity. 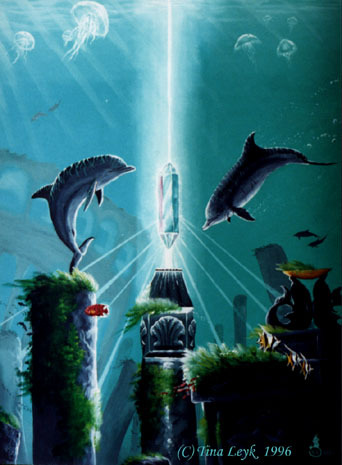 These magnificent pillars of Light were also used to modify and refine the Divine blueprint and the frequencies of Light which were being sent forth onto the Earth and throughout the grid system. When the Earth fell into the density of the Third/Fourth Dimensions, there was a dramatic increase of cataclysmic events whereby most of these great spires were broken, shattered and buried deep within the Earth. Only a few of these magnificent sentinels remained; however, they are disguised by a cover of plant material or layers of soil and rock. 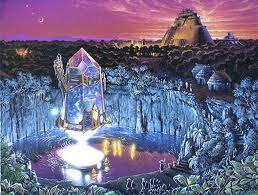 Most all of the wondrous crystals that are returning to you during this miraculous age of transformation are fragments of those great spires. Is it any wonder that they have become so precious to you as they help you retrieve some of the wondrous memories of your ancient past and create visions of your home among the stars? 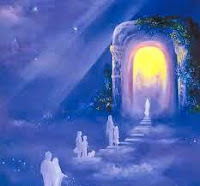 "The portals are now open, but you must rise up and enter, for this great gift of radiant Light is only accessible to those who are firmly on the path of ascension and are capable of being baptized in the Living Light of new Creation. 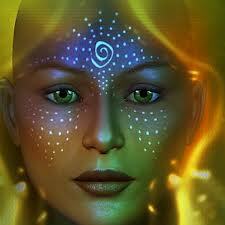 The key to each Higher-Dimensional inner sanctum is vibrational, each one more refined and exquisite than the last. If you have been reading our messages over the past years, and have made an effort to integrate even a small portion of our teachings, you are ready to be a part of this grand mission and to enter a City of Light. Dear ones, we are aware that these are times of great stress and momentous change. It is more important than ever that you do not let yourselves be dragged downward onto the spiral of fear and negativity that is building within the collective consciousness of humanity. You must be diligent in your determination to stay centered and focused on your personal vision for the future. Do not allow others to deter you from your path out of a false sense of duty, and old ties that bind you to the illusion of the Third/Fourth Dimensions. Promise yourself that from this moment onward you will only do that which excites you and brings a sense of satisfaction, for therein lies your mission and how you can best serve. As you bring more joy into your life, others will notice and begin to follow your example, and as you activate this inner power source more and more, it will trigger what is needed for others to open their heart center and begin the awakening process. You can be the catalyst that will help those within your sphere of influence to move more quickly through the process of healing emotional wounds, and through your words of wisdom you can inspire them to turn inward and begin to listen to the nudgings of Spirit. Be aware that there will be people who come into your life who may try to discourage you from your path as you move further along the spiral of ascension, and re may be some that you will leave behind as you delve deeper into the complexities of enlightenment. As you learn the lessons that are presented to you, and you are ready to advance toward the Light, many of those around you will stay stuck in the illusion of the inharmonious lower dimensions. Do not judge. Bless them and allow them to follow their own path, but do not let them deter you from yours. Those like you are in the vanguard, the ones brave enough to step out and away from popular beliefs and the limited mass consciousness of the Third- and lower Fourth-Dimensional environment. Allow those visions that sometimes fill your consciousness to come forth, and allow yourself to speak the words of wisdom that often float through your mind. 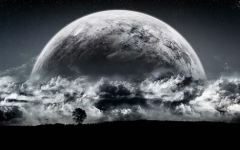 You are in the process of accessing more and more of your Sacred Mind – your own cosmic library where a great wealth of information, knowledge and ancient memories are stored. You must remember that for these many past ages, almost every Soul born on the physical plane has been caught up in the mass consciousness belief system of the Third/Fourth Dimensions. As a result, the core issues from the past and the imperfections within the ancestral DNA have caused many symptoms to manifest whenever anyone allowed themselves to feel unloved or unworthy, or felt guilt, shame or resentments in any form. During these momentous times of transformation, the Light of Eternal Life will not be denied. It is delving into the deepest pockets of negativity within your multiple bodily systems. As these misqualified thought forms rise to the surface, they can create great discomfort in various ways, for they have been a part of your physical makeup for a very long time. They may not relinquish their hold easily, beloveds, but you must prevail. When the opposing forces of Light and shadow meet, the Light is always ultimately victorious. 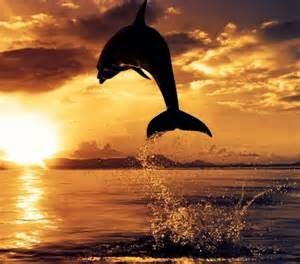 So do not become discouraged, for as you move deeper and deeper into your inner core, you are being given an opportunity to, once and for all, release to the Light all frequencies of a discordant nature which do not serve your greatest good. The process of transformation is speeding up exponentially; however, it will become much easier for those of you who are actively taking part in your own ascension process. Remember, always ask for ease and grace. My faithful warriors, are you ready to step forward and accept the final phase of your earthly mission? For in these critical times you are needed as transducers and transmitters of this refined energy to help move humanity and the Earth through this important time of transition. That is why I have called my legions together once more, and why I am making my presence known to those of you who have agreed to play an important role in the great drama that is now unfolding on Earth. As you fill yourself to overflowing with the elixir of Love/Light from the Creator, your circle of influence will widen. First, you will be transformed, and gradually, those in your immediate environment – then it will radiate out further and further into the world. As you allow your Higher Self to guide you and to become more fully integrated within, more and more inspired thought will come to you. There are many ways to allow Spirit to manifest through you; just allow it to happen naturally, dear ones. Our Mother/Father God and the full company of the higher realms are here to support, encourage and love you unconditionally. I AM Archangel Michael.